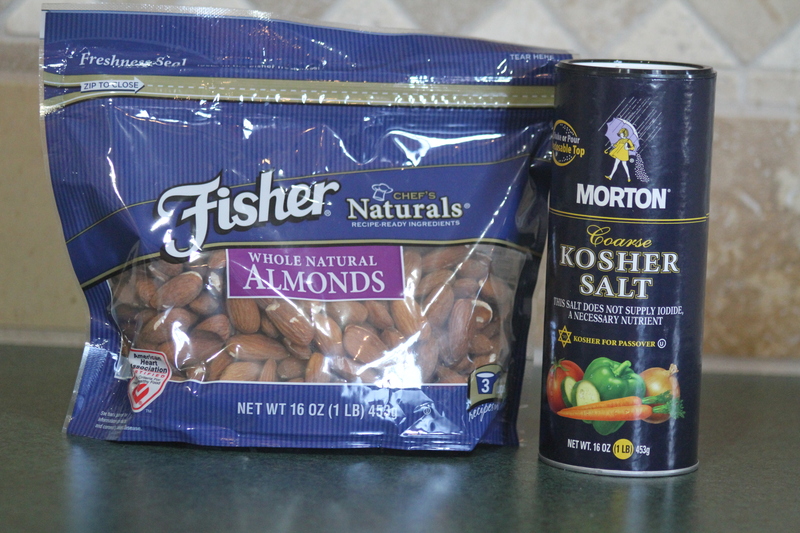 Here’s the ingredients, stay with me here: almonds + kosher salt. That’s IT! 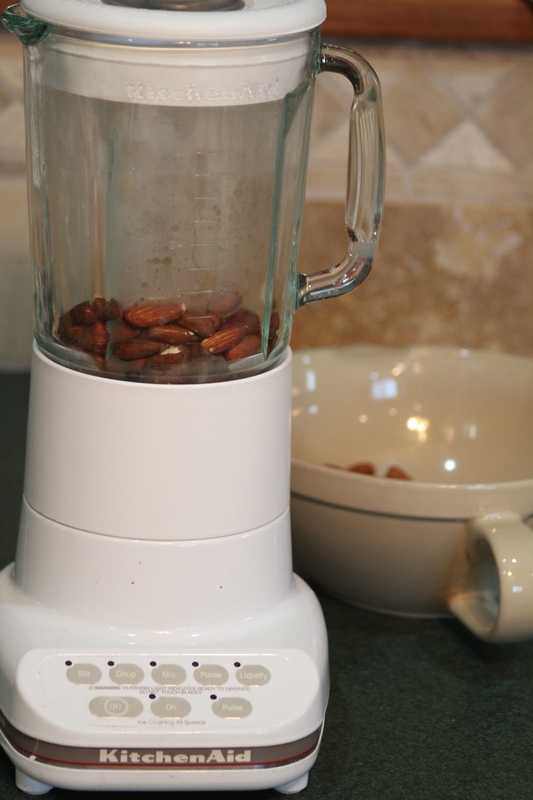 No Oil, no sugar, just almonds and salt. Amazing. 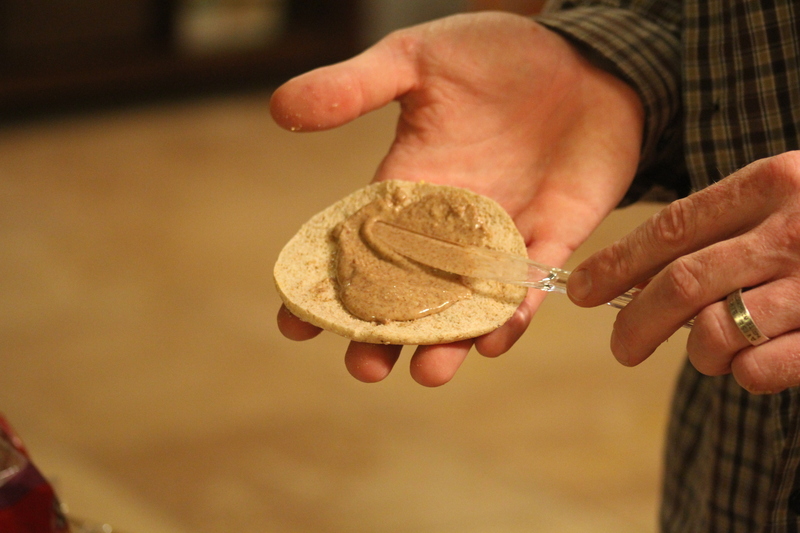 I just took a look at our “natural” commercial peanut butter. 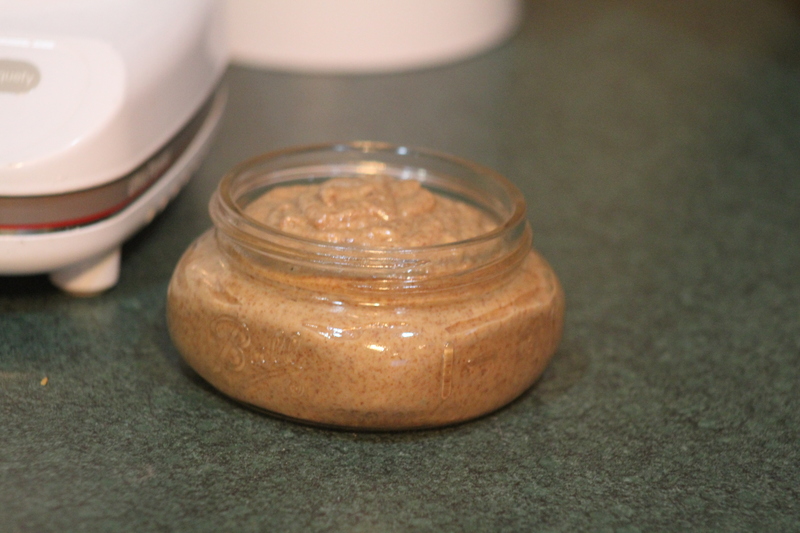 It includes peanuts, sugar, palm oil, salt, and molasses. 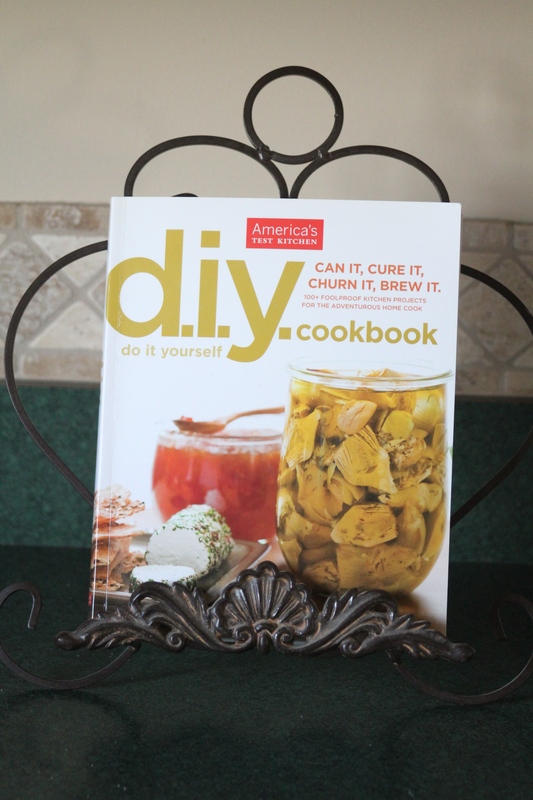 The America’s Test Kitchen DIY Cookbook also gives directions for making peanut butter. 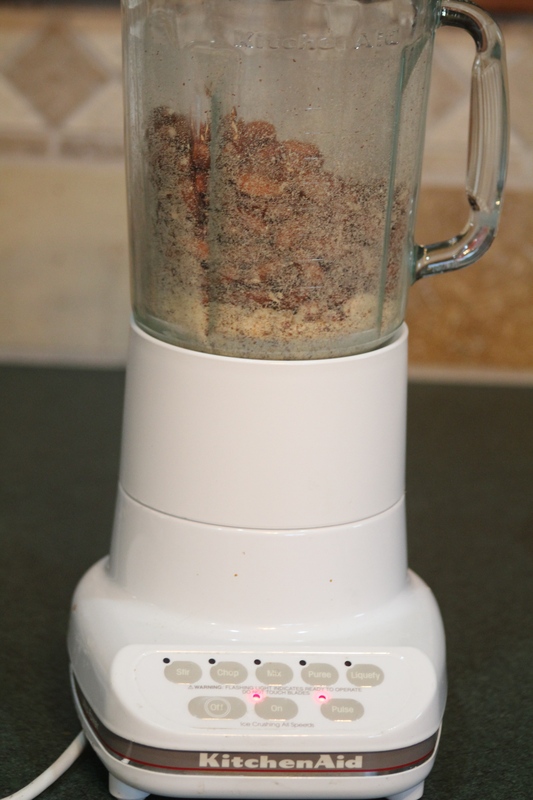 The ingredients…peanuts + salt. No palm oil necessary, not to mention the added sugar! 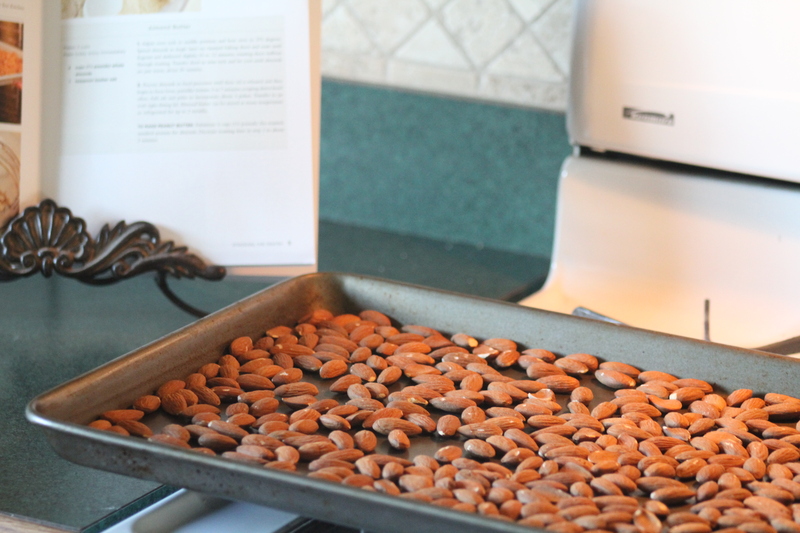 The recipe has you to roast the almonds and then process them in a food processor once they are cool enough for you to handle. I have a mini cuisinart so I opted for my kitchen aid blender. I was worried they wouldn’t all mix if I threw them in at once, so I started with two batches and ultimately mixed them into one. After the 10 minutes worth of oven roasting, the rest of the recipe took about another 10 minutes (and that includes pouring it into the jar). Easy Peasy. Please ignore the plastic knife. The cleanup was the hardest part. That said, we have real silverware and we have a dishwasher, but at least we didn’t have to wash that extra knife!